Contractors and consultants working on HS2 are gearing up to employ a 15,000-strong workforce by 2020. Over 7,000 roles are already supported by the project, and over 2,000 business have already won work with HS2, ahead of the main construction start next year. 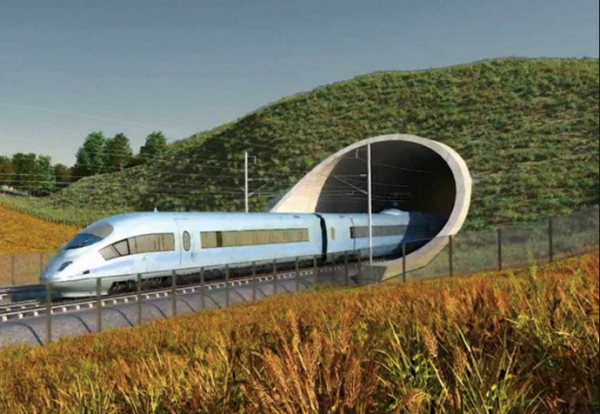 According to a new HS2 project skills strategy document published today a whole generation of engineers, designers, architects and geologists will benefit from the construction of the new high speed railway as the project gears up to support 30,000 jobs at peak construction. Opportunities will be opened up through a new Job Brokerage Service to help people access the jobs created by the HS2 supply chain, and a new Secondary Education Engagement Programme will help the next generation to enter transport infrastructure careers. Laing O’Rourke’s Explore Manufacturing factory in Worksop is gearing up to produce precast elements for five major bridges with 35 jobs due to be created to deliver the order. Balfour Beatty Vinci JV is set to be the largest HS2 recruiter in the West Midlands, offering thousands of jobs to local people. Consultant Mott MacDonald has already created 300 jobs, set to double in 2019, to deliver design for the BBV joint venture. Earthmoving contractor, CA Blackwell (Contracts) is planning to create 500 new jobs in Buckinghamshire as it gears up to lead on HS2’s earthworks in the region. While Costain Skanska JV has created 500 jobs already as it prepared to deliver its southern route sections of the project. In total, 500 people at consultant WSP offices around the country are working on HS2, including 220 people on the Phase One stations with 39 different specialists on each station. Presently over 100 apprentices are working on the project, with 2,000 expected over its lifetime.